Warriors Against Fed Ed, you know I’ve been a consistent researcher on the post-secondary education front. You are also aware how I’ve shown you document upon document which proves the CCSS Machine is NOT content with traditional K-12th grade educated students, rather, it is after our babies all the way to our grandparents. It also means EVERY school choice, at some time or another has been, or, is in the process of being..
100% streamlined alignment to Common Core, Career Tech Education, College and Career Readiness, STEM, and all that goes with them. During the past couple of months, I been especially focused on just how desperately our U.S. Congress is churning out propaganda on the ‘value’ of an educated (and streamlined) workforce. Not to be left out, the U.S. Dept. of Ed has echoed this. 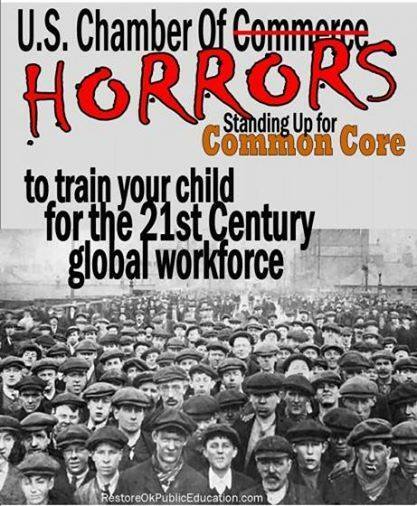 The CCSS Machine has placed it’s change agents in our government very strategically. This agenda is to be continued in 2017. So, what has the U.S. Dept. of Ed had to say about adult ed and its future (2017 and beyond) that I’ve not already shared? Look below. Look at the logo on the gentleman’s chef shirt. That is the logo of the Carlos Rosario International Public Charter School. You can see the logo below. Be sure you note the two facts I inserted on this screen shot. 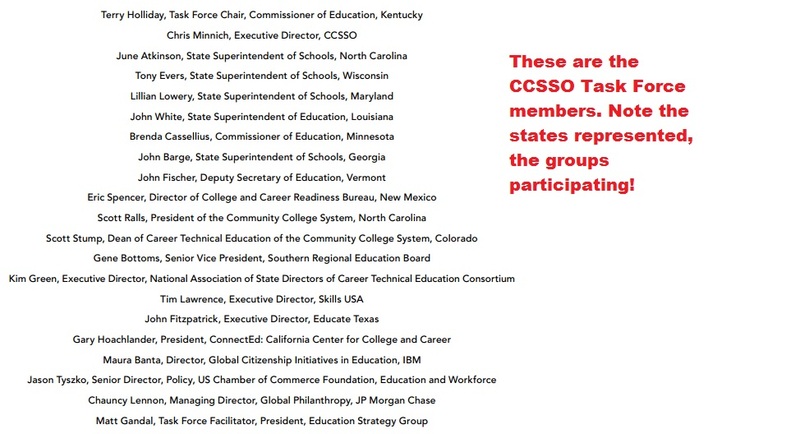 From the School’s 2014-15 Annual Report, this screen shot shows several CCSS Machine member groups as donors. Featured speakers from CCSS Machine member organizations were there. For example, the Center for Education Reform (the same group which beat President-elect Trump’s door down with the message of continuing to incentivize education for ‘innovation’ and ‘technology’. If you would like to see the CCSS Machine at work about the Forum from 12/1, head over to Twitter and type in #MoreAdultSchools. Oh, when you access the Homeroom Blog, please read the comments which have been displayed. Every one of them is in support of this type of education. I wonder if they’d be so supportive if they realized the CCSS Machine’s intent for each student. Here’s a document you’ll really want to get your hands on. It’s a Case Study of the Rosario Adult International Public Charter School. It was conducted by CAL-SIOP (Center for Applied Linguistics-Sheltered Instruction Observation Protocol). Below is as great a piece of evidence as ever to show the purposed intent for our adult students and their alignment to the same type of ‘workforce based education’ our younger students are experiencing. Note the dates almost line up with the introduction of CCSS/CTE, too! If you’d like to know about the Middle States Assoc. of Colleges and Schools (MSHE), be sure to go to their website. In 2013, there was a name change which is pretty significant for our War vs the Core. You’ll also want to note their involvement with CHEA (Council on Higher Education Accreditation). MSHE also has a K-12 branch. JFF (Jobs for the Future) has quite a collection of informative resources on the topic of adults and international trends in education. From the JFF site, this 2009 Document about the “One Step Forward” Initiative. If you’d like to see what the BFA (Belem Framework for Action) detailed for adult education, see below. Warriors, where else have we seen either the same as the above screen shot in ALL education reform, or very, very similar?! What do I mean by CTE? It’s short for Career Tech Education. Or, in anti Common Core language, it’s ‘adult common core’. 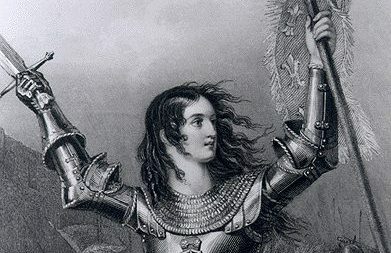 Since I began my blog, each Thursday has given you solid evidence of how far and wide the CCSS Machine has gone to pump up the alignment to support the ‘cradle to career’ rhetoric. Today’s post looks at a few ways the CTE is being sold to our students to make it look attractive. 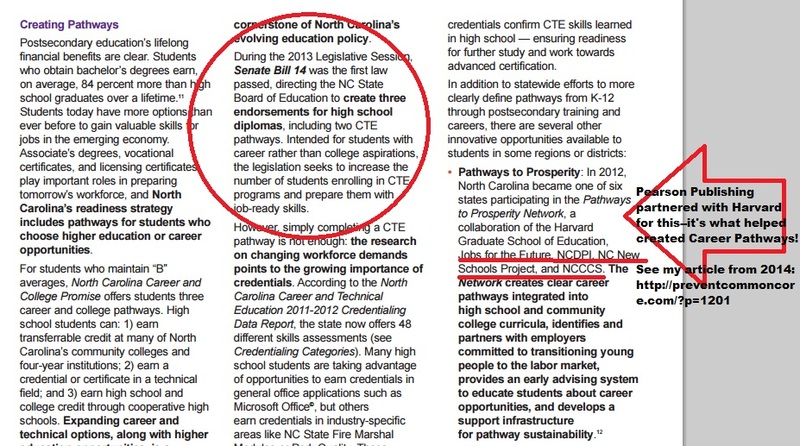 Nothing says 21st Century Skilled Workforce like a CTE aligned student. In spite of all the glitz and glam of the sales pitch, CTE in reality will be more like this. From the “Build Your Future”, Dr. Anne Matula speaks to those in charge of education about how exciting a ‘national resume’ will be. Notice this is for not only adults, but will reach back to ‘junior high’ (aka: middle school)Note how she’ll share that these trained workers will earn more than those people who have completed their masters degrees! Next Up? Parent Touts the CTE! This 12 minute video expresses the ‘life changing’ aspects of CTE as its sales pitch. Not quite sure how effective the message is when you hear one of the speakers state something along the lines of ‘you get to apply what you should of learned in school’. Note the amount of promise each speaker mentions, the self discovery. Note how a particular person with special needs is featured. The ACTE has a contest encouraging students to submit short videos promoting CTE. Here’s one of the winners from 2013, not his use of fun, vibrancy. From a young person’s viewpoint I can totally understand how I might want to log on and learn more. From the 2014 CTE Policy Update, a 50 minute video detailing how all the states using CTE are faring in implementation. If you’d like to access my other CTE articles (you can also search by Career Pathways, Career Clusters) here’s the link for several previously published articles detailing CTE. There are at least 6 pages of articles, so if you are gearing up to fight CCSS in the post-secondary realm, you’ve got plenty of fact based evidence! Please note that I’m not against careers, post secondary education, or allowing a student to be able to discover where they fit in society. I DO, however,think it shouldn’t be through the CCSS aligned programs. The thinly veiled ‘workforce’, ‘talent supply’, ‘human capital’ goals we’ve heard all too many times when it comes to careers nowadays. We should be more focused on each student attaining the BEST education for them. Not every student can or will ever fit a mold, look at those of us now out of school. We didn’t fit molds, so why are so many willing to help promote all the ways in which our students ARE being placed into career molds? Remember, where CCSS is concerned, NOTHING is as it appears on the surface. There is much more underneath. We anti CCSS folks know how far and wide the Gates Foundation has spread the seeds for CCSS. In today’s post, we’ll see how the CCSS is being sprouted in ‘compact cities’. All thanks to the SEED Foundation, the Gates Foundation, and more than likely, a few others. Other Gates Foundation grants to SEED, 2011, $250,000.00; 2010, $75,970.00. All are conditioned by ‘college readiness’. (*Note: you can access these grants by using the search term “The SEED Foundation” in the search bar for the Gates Foundation website. 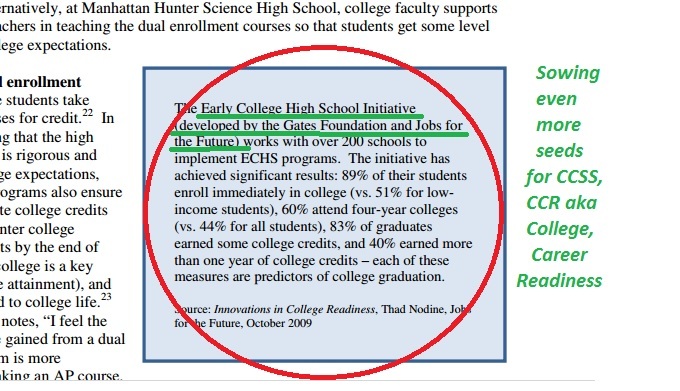 From the SEED Foundation’s 2010 document titled “Practices and Programs That Prepare Students for College Graduation”, a screen shot pointing to yet another Gates Foundation joint effort to align students. This time, it’s with Jobs for the Future, however. I’ve no clue if any of today’s information is new soil to your anti CCSS fight or not, but one thing we’ll all gleaned about the CCSS Machine, the more we uncover, the more we can till the soil, root out the weeds, and break up the pests in our educational system.